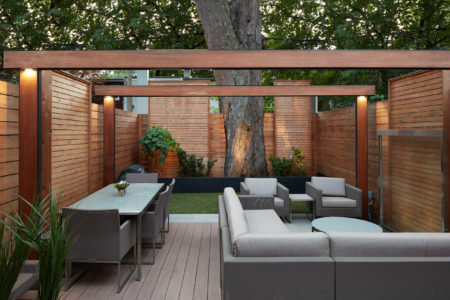 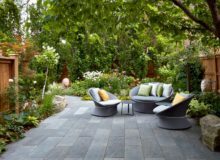 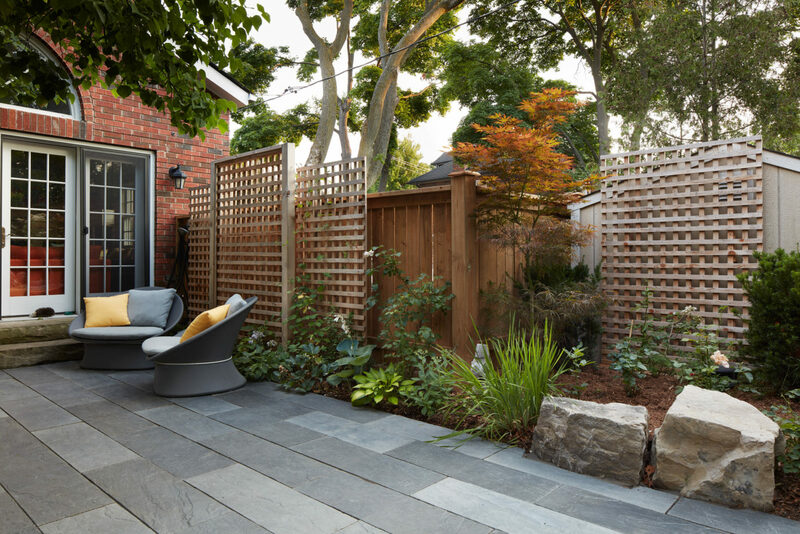 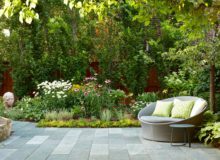 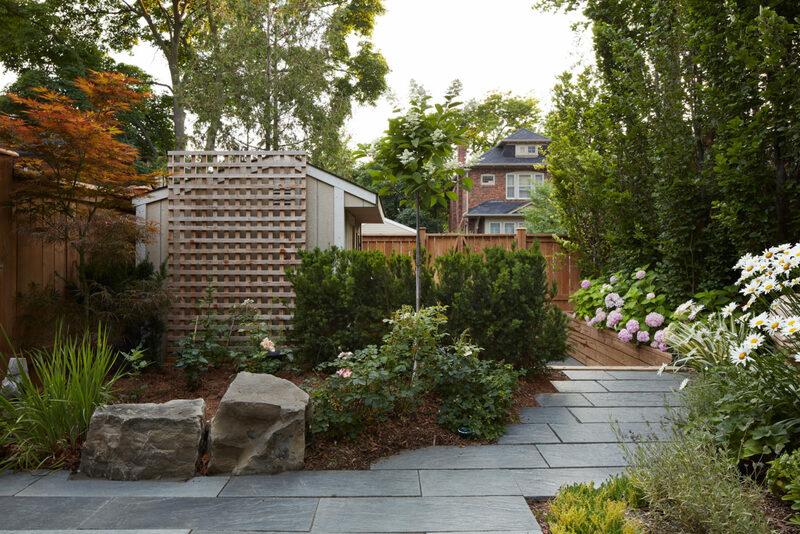 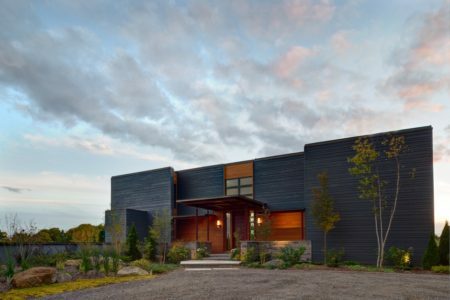 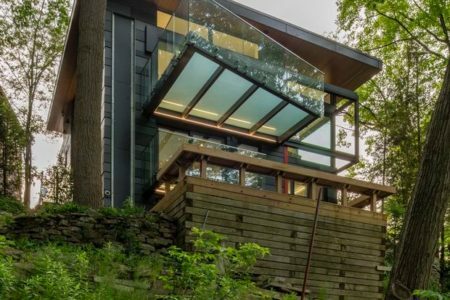 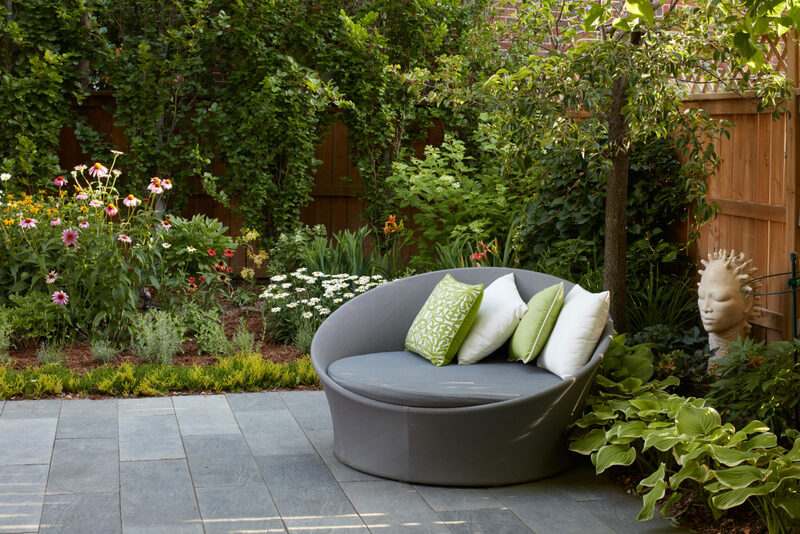 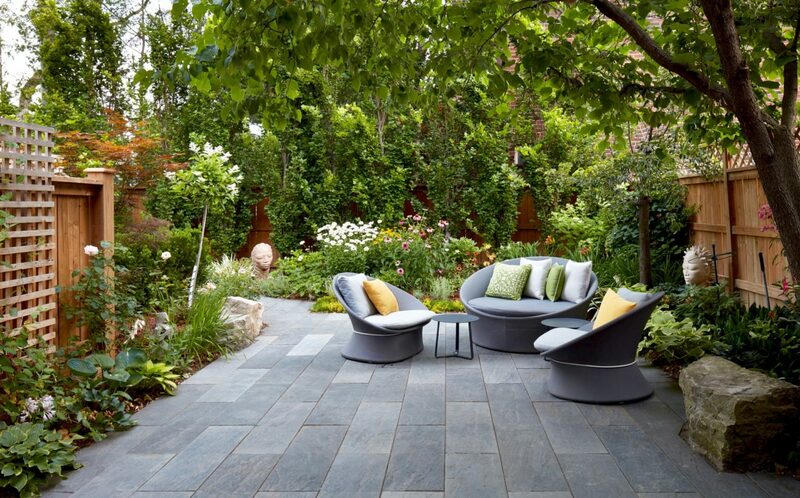 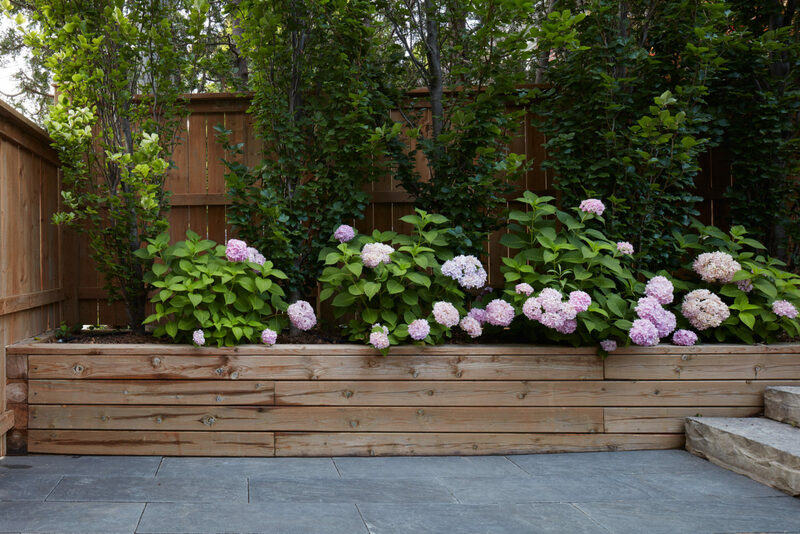 This Gardener’s paradise was created with the homeowners request for lush gardens within a very liveable space where they could entertain and relax. 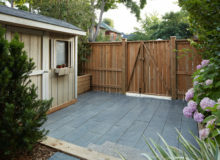 The rear entrance from the city road was dug down two feet to allow the homeowner to ride her bike and enter the property without climbing the steep grade. 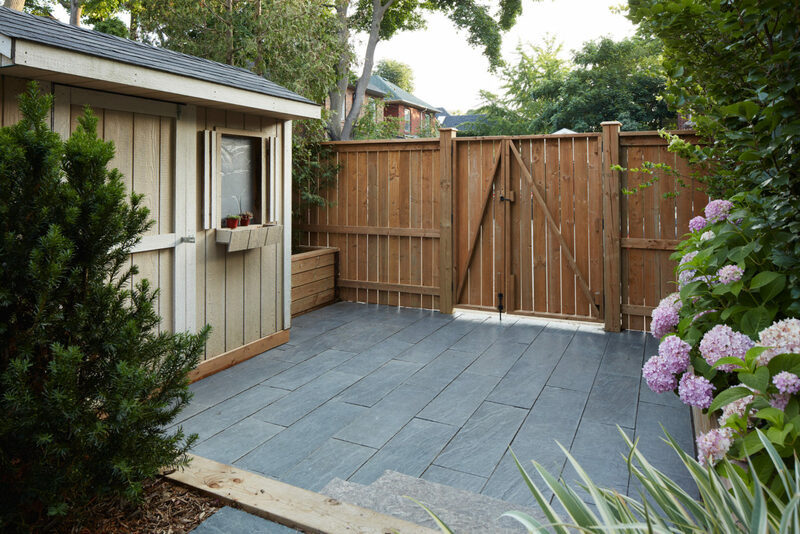 You take steps up to the expansive patio area. 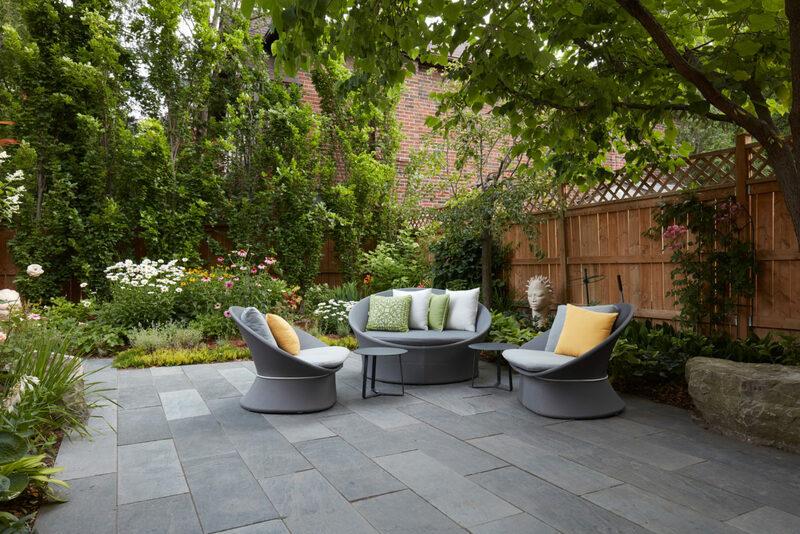 Modern Unilock “Richcliff” rectangular paving slabs along with the clean lines of the circular patio furniture provide contrast textural full sun and shaded bursting with gardens roses, echinacea, daisies, hostas, and hydrangeas. 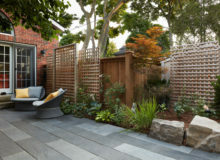 Lattice along the fences with allow vines to climb and further create a garden oasis. 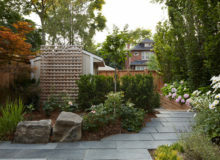 Blocks of Armour Stone used sparingly bridge the modern elements with the English garden plant material. 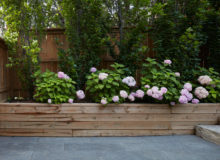 A raised bed of pink hydrangea makes gardening easy and sets off the homeowners fantastic sculptures.